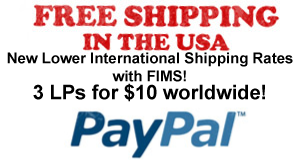 PAMA INTERNATIONAL “Love & Austerity” CD & “Trojan Sessions” CD + PHOENIX CITY ALL STARS! PAMA INTERNATONAL “Love & Austerity” CD now in stock! On their latest album two new female lead vocalists compliment the returning all star veterans – kicking things off is an upbeat reggae cover of the classic Martha Reeves soul number “Heatwave”. 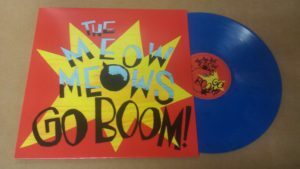 Songs like “Austerity Skank”, “Man Next Door” and “Then You Can Tell Me Goodbye” show off the bands strong reggae roots while tracks like “I Cried Till I Stopped” and “Skies Are Blue” showcases the new vocalists’ soul and blues influences. 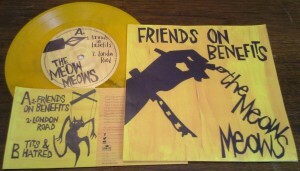 Hand assembled “LP style” eco wallet with mini poster. PHOENIX CITY ALL STARS are an all-star UK group that release fantastic tribute albums, we’ve restocked the band’s excellent ROLLING STONES cover album “SKATISFACTION”. Not to be outdone, PAMA INTERNATIONAL’s “Trojan Sessions” has finally been reissued! Originally released in 2006, this classic features DERRICK MORGAN, DENNIS ALCAPONE, DAWN PENN, RICO RODRIGUEZ, DAVE & ANSIL COLLINS, and WINSTON FRANCIS. MAD BUTCHER once again delivers the goods – two must have post 2-TONE classics from BUSTER BLOODVESSEL and NICK WELSH (aka KING HAMMOND). 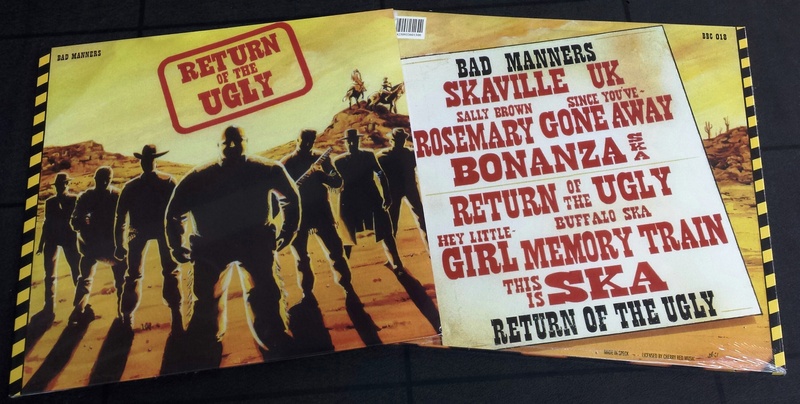 “Return of the Ugly” is the sixth studio album by British 2 Tone ska band BAD MANNERS, released independently in 1989 on the resurrected “BLUE BEAT” label in the UK and on Relativity in the USA. A true return to form, many songs became instant classics and are still fan favorites to this day! Includes “SKAVILLE UK”, “THIS IS SKA”, “BONANZA SKA”, “SINCE YOU’VE GONE AWAY”, “RETURN OF THE UGLY” plus LAUREL AITKEN classics “SALLY BROWN” and “HEY LITTLE GIRL”. 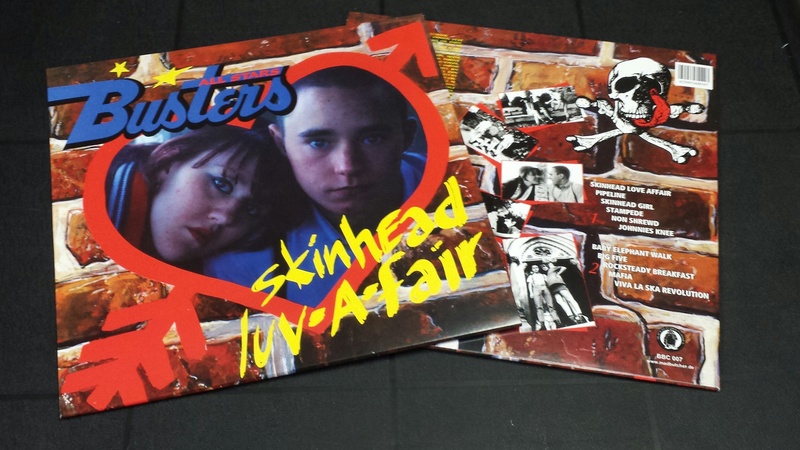 Not to be outdone, we also have back in stock the 1989 classic from BUSTER’S ALL STARS (the BAD MANNERS “side” project with Buster Bloodvessel) and their amazing 2 TONE inspired homage to skinheads: “Skinhead Luv Affair”. 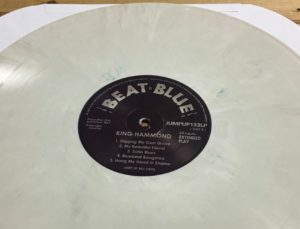 Featuring songwriting brilliance from NICK WELSH (aka KING HAMMOND) – this album was much more than a novelty conceived while BAD MANNERS was on “hiatus” – it’s popularity actually helped reform the band! Members of BUSTERS ALL STARS and the remaining members of the original BAD MANNERS “merged” to create the BAD MANNERS unit that would record the modern day classic “RETURN OF THE UGLY”! 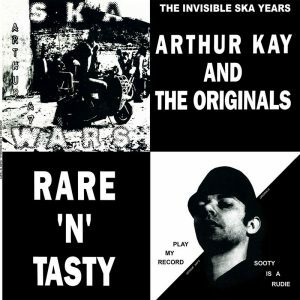 These two albums are an important part of the link from the original 2-TONE movement to the birth of ska’s third wave worldwide! 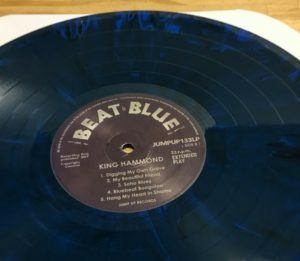 KING HAMMOND “The Beat Is Blue” LP vinyl – amazing new album entirely in 1960’s UK BLUE BEAT style! 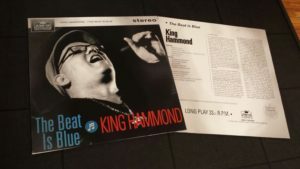 KING HAMMOND is Nick Welsh. He is a musician, producer, and songwriter from the United Kingdom. He is by far one of the most prolific ska/reggae musicians on either side of the pond, his resume includes PRINCE BUSTER, LAUREL AITKEN, DAVE BARKER, RICO RODRIGUEZ, and JUDGE DREAD. Nick also played on LEE ‘SCRATCH’ PERRY’S Grammy Award winning album “Jamaican ET’. As a bassist and song writer in BAD MANNERS and THE SELECTER, he was integral to both band’s post 2-TONE success. Continue reading KING HAMMOND “The Beat Is Blue” LP vinyl – amazing new album entirely in 1960’s UK BLUE BEAT style! They crew at MAD BUTCHER Germany really outdid themselves with these reissues from the late 8os!! ARTHUR KAY’s “RARE AND TASTY” was released on SKANK Records in 1988 but actually compiled his rare self-released singles during the beginning of the 80s during the height of 2-TONE. Songs like “PLAY MY RECORD” and “SOOTY IS A RUDY” are stone cold 2-TONE classics, but his “SKA WARS” single was not far behind. This album is essential for all fans of “lost” UK 2-TONE sounds! 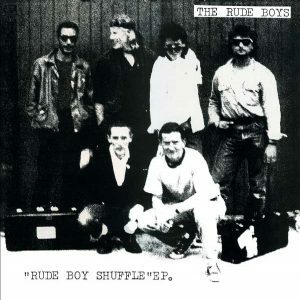 The other reissue from the same period is 1989’s 4 track EP from the RUDE BOYS, this was the new orleans r&b styled ska band fronted by Roddy Moreno of The Oppressed. 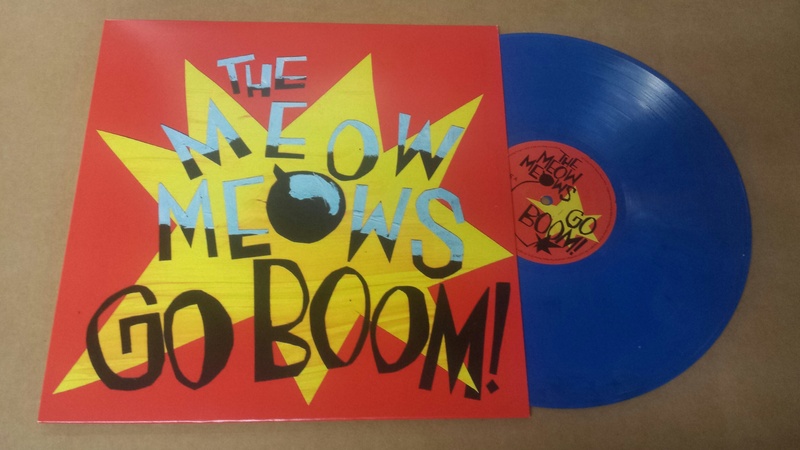 Originally released on 12″ single on SKA RECORDS, Mad Butcher has put this exact repro on 7″ single once again! 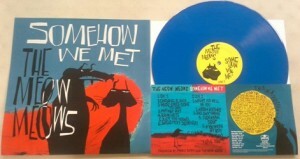 THE HOTKNIVES early albums reissued by MAD BUTCHER! 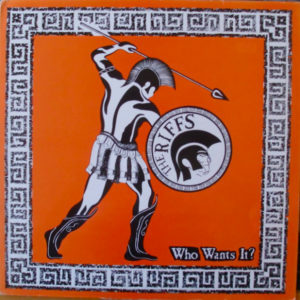 Must have UK 2-TONE revival SKA! It’s so exciting to see these late 80’s / early 90’s European revival albums originally released on UNICORN and SKANK RECORDS back on wax from our friends at MAD BUTCHER in Germany. 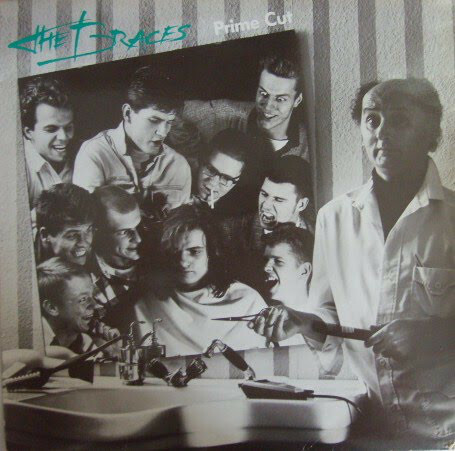 To put it simply, labels like UNICORN, SKANK, SKA, and PORK PIE bridged the gap between the end of 2-TONE and the beginning of what became known as the “third wave”. Super melodic with catchy vocals and gentle horns, THE HOTKNIVES “THE WAY THINGS ARE” was truly a modern British ska classic. To this day, this album is still my stone cold favorite from the Unicorn catalog. Songs like “DAVE & MARY”, “OLD MAN AND HIS DOG” and “DON’T GO AWAY” are so perfectly English, strong lyrics that stay in your head forever. 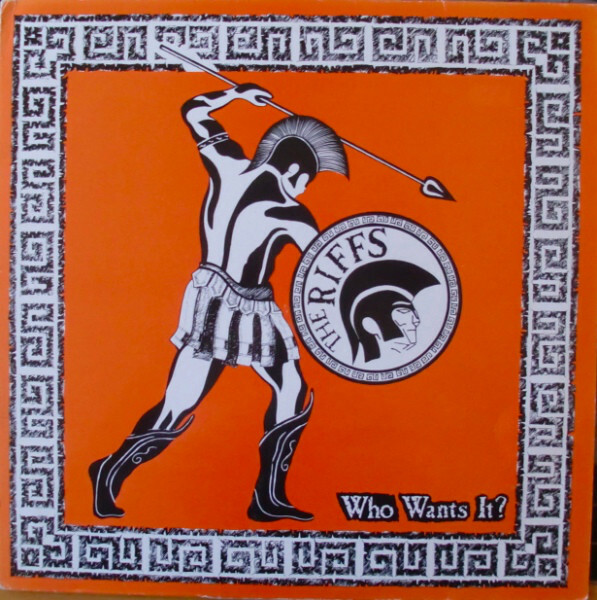 Exact replica from the 1990 issue – we can not recommend this enough for people who like 2-TONE ska! !